The Protected Status of the Cornish pasty. 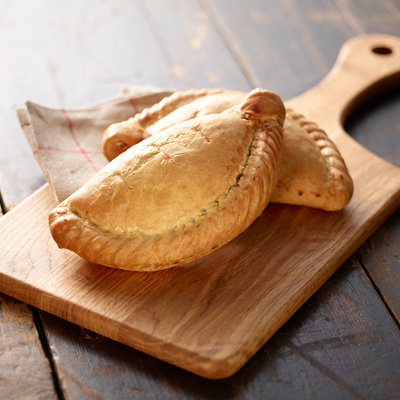 Consumers like to know they’re getting a genuine Cornish pasty – well now they can. Just like Champagne, the Cornish pasty enjoys protected status under EU Protected Food Names legislation; so only a pasty made to a specific recipe in Cornwall can be called a “Cornish Pasty”. Fake products can therefore no longer devalue the great reputation of the genuine Cornish pasty. This allows producers of protected products to be able to continue to add that extra value and eating quality through the use of top class ingredients and craft skills which, in turn, adds value to your sales. Cornish pasties are “d” shaped and crimped on the side (never on top) and contain potato, swede, onion and beef with seasoning to taste, primarily salt and pepper.